eSchoolCare keeps nurses current, confident, and connected. eSchoolCare is a web-based, mobile resource that provides school nurses with expert-reviewed, evidence-based, up-to-date resources on student chronic health conditions. Content supports school-based care of students with chronic conditions such as allergies, athsma, cancer, diabetes, epilepsy, gastrointestinal, and mental health disorders. eSchoolCare was developed by Professor Lori S. Anderson, at the UW-School of Nursing with a federal grant from the Health Resources and Services Administration (HRSA) Division of Nursing. The content was created in partnership with experts from American Family Children’s Hospital in Madison, Wisconsin. 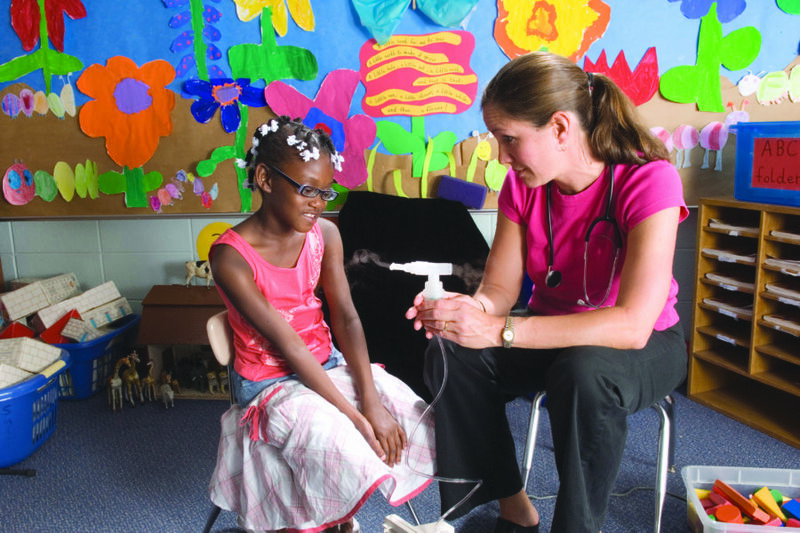 School Nurses have found eSchoolCare saves them time. School nurses also use eSchoolCare to teach school staff, parents, and students about effective management of chronic conditions in schools. With your one-year subscription you will receive unlimited access to eSchoolCare, which can be accessed with your smart phone, tablet device, desktop computer, or laptop.